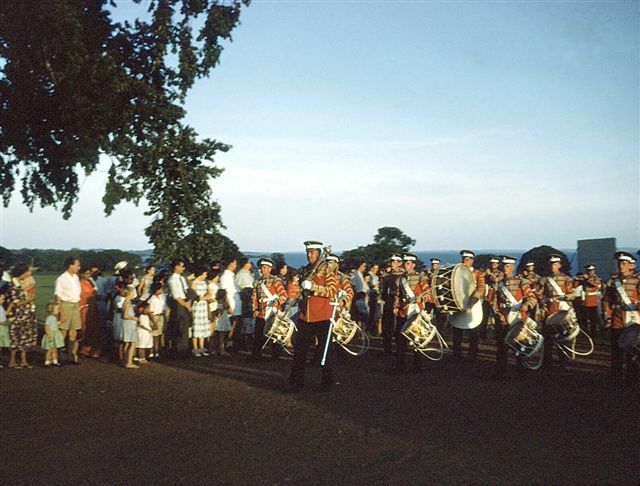 The Governor's arrival and the Band's (later) departure - PHOTOs Daphne Seager It is interesting to note that when the governor went "up country" a US Pontiac was used as it gave a more comfortable ride on un-surfaced roads. 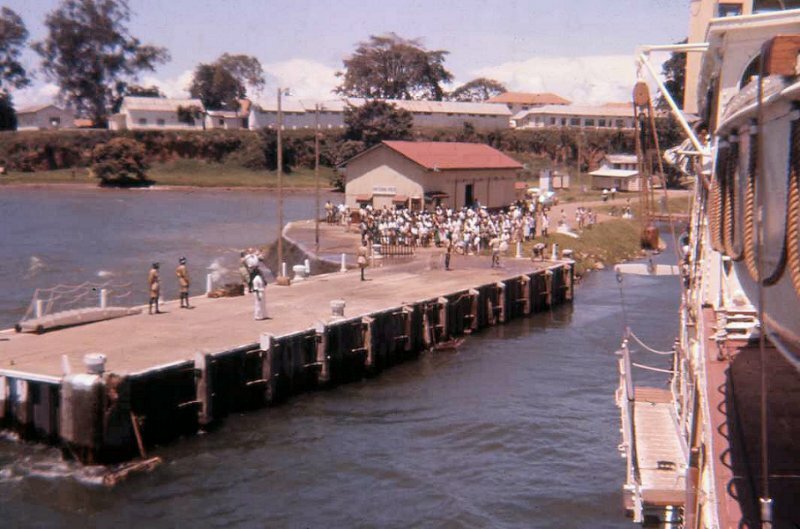 Entebbe Pier before the flooding - RMS VICTORIA arriving and departing - PHOTO Malcolm McCrow My cheap camera produced less than sharp images, but it is perhaps worth including this photo to show how much the Lake had risen in little more than 12 months. 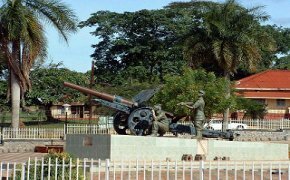 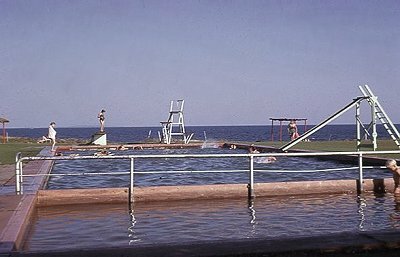 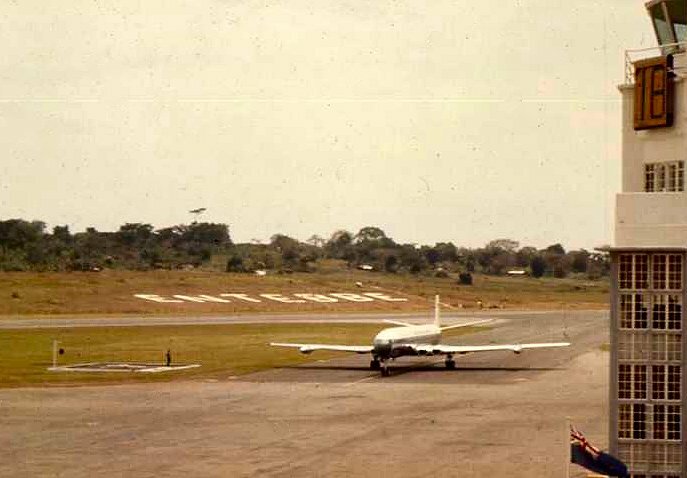 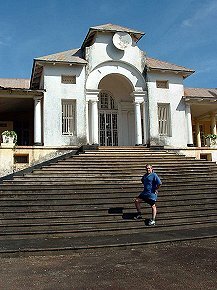 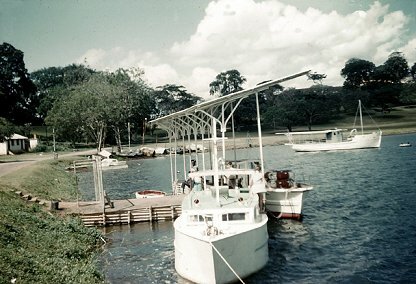 Viewed from the Lawns and Gardens, Entebbe Pier - 40 years apart. 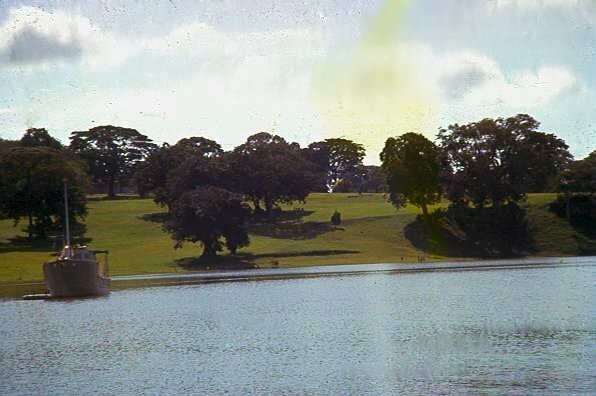 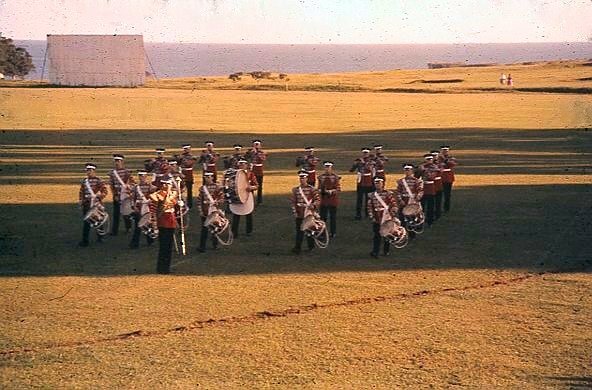 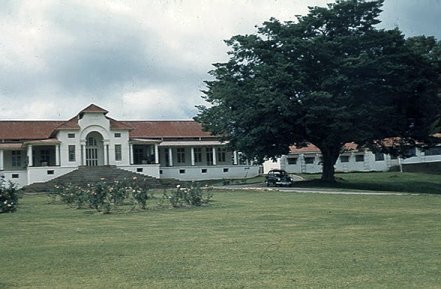 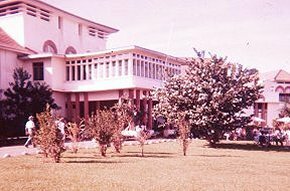 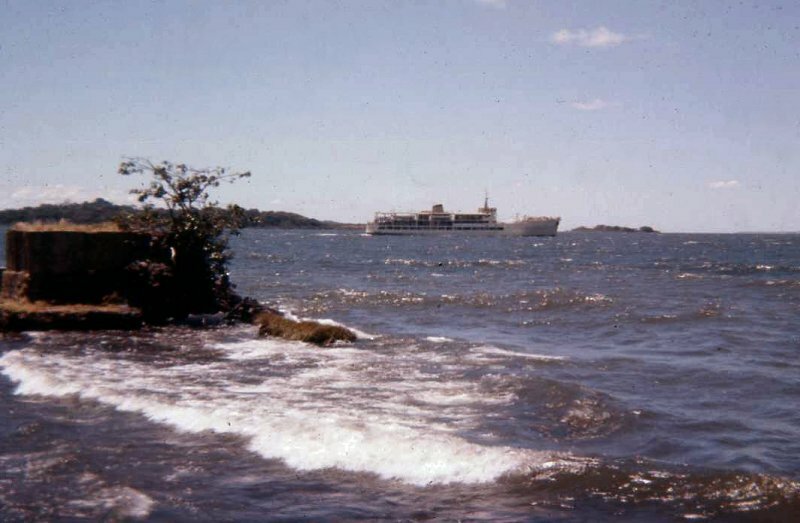 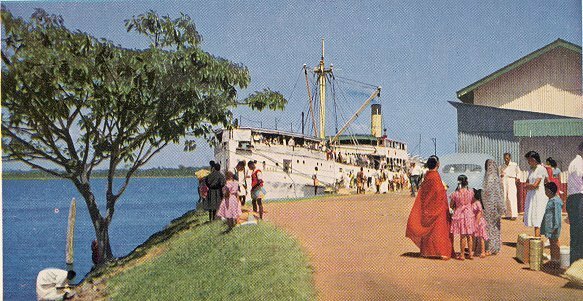 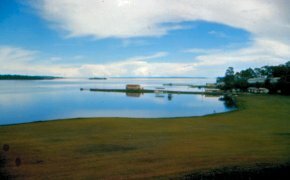 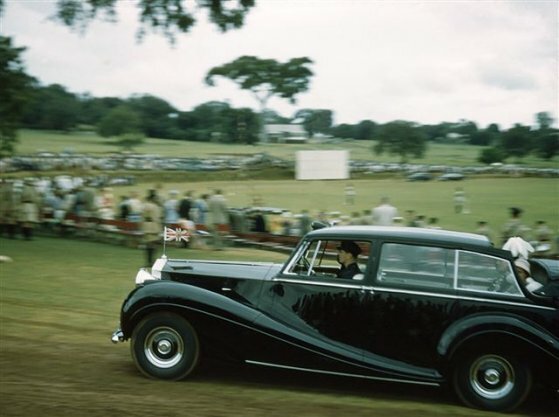 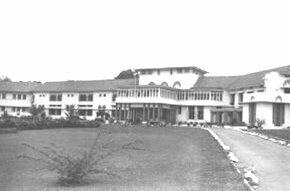 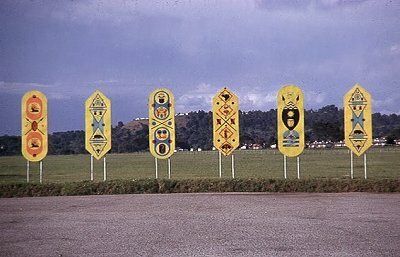 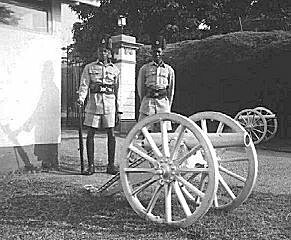 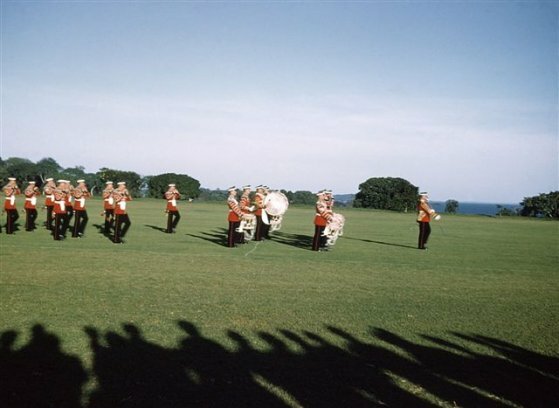 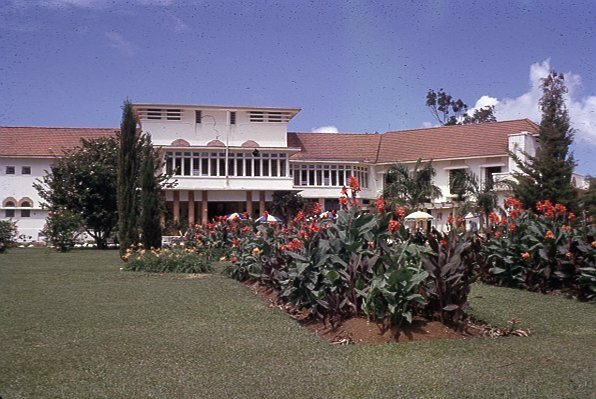 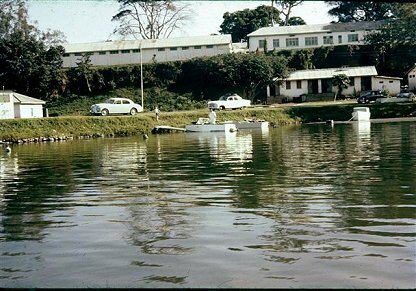 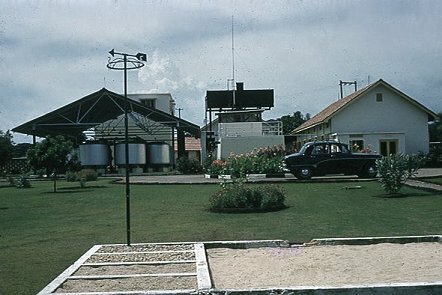 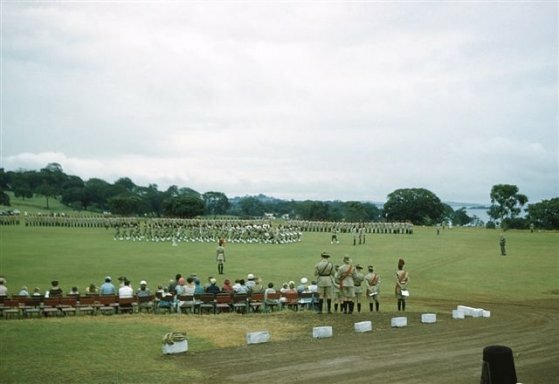 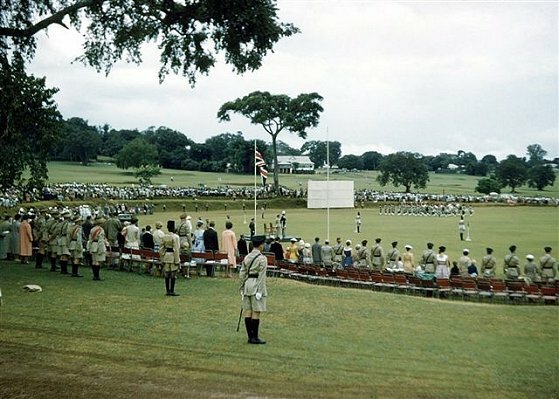 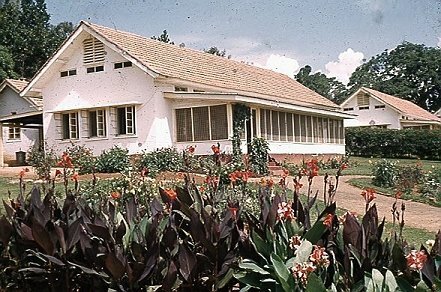 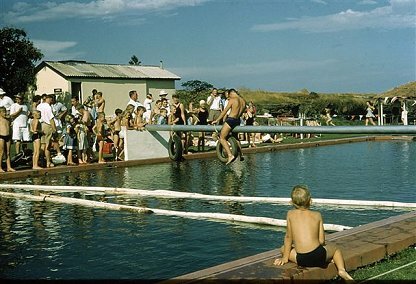 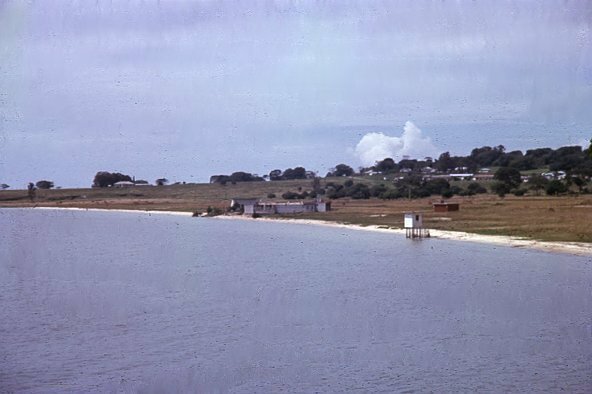 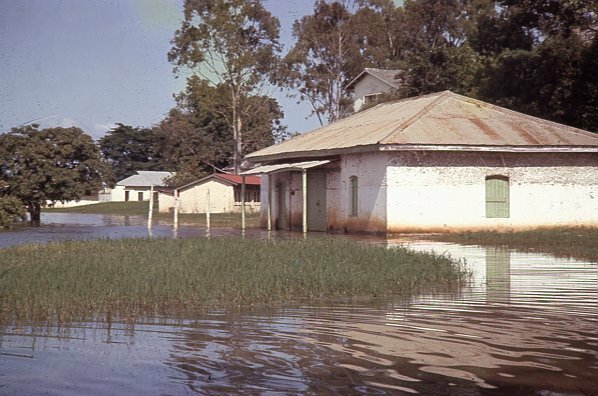 The Lawns and Gardens overlooking Lake Victoria 1960. 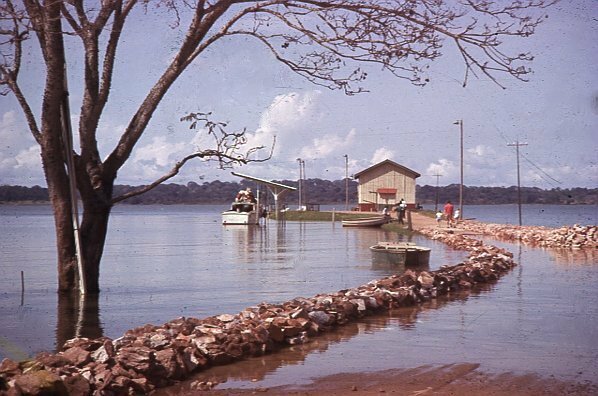 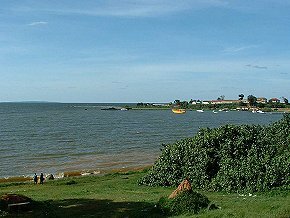 Entebbe Pier today - The Lakeside lawns (right) PHOTOs Malcolm McCrow (left) Oliver Keeble (right). 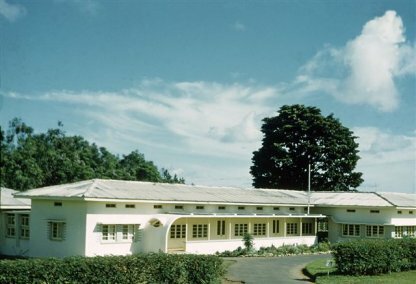 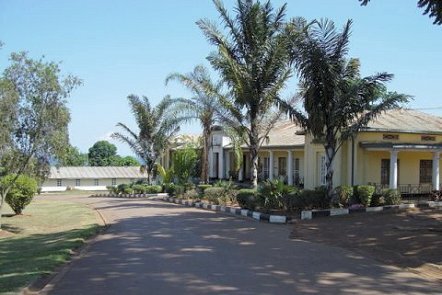 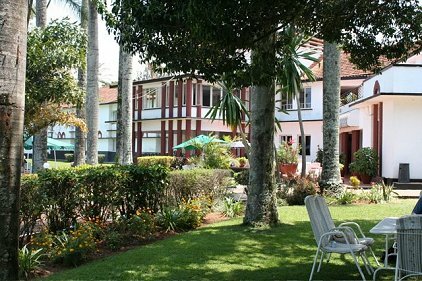 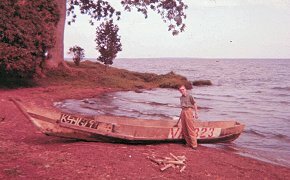 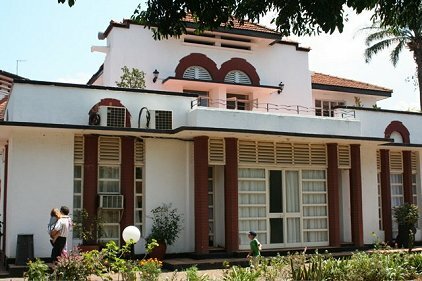 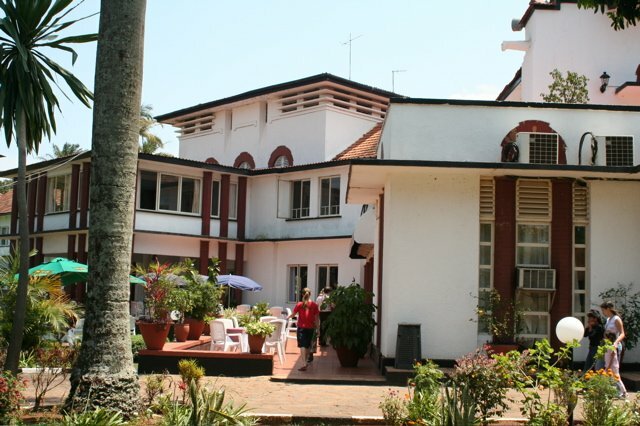 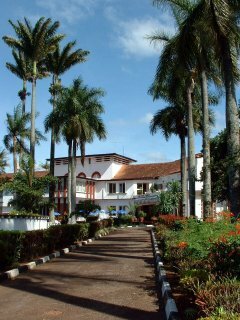 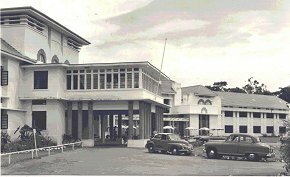 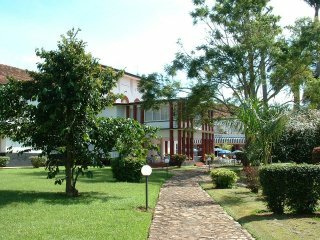 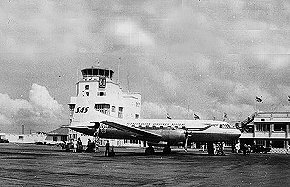 The Lake Victoria Hotel was usually referred to simply as the Lake Vic.